Sign a petition to free orcas and belugas from the "Whale Jail"
1. Free remaining orcas and belugas from "Whale Prison"
to China in 2018 and starting a criminal case against the capture companies. Over 1 200 000 people already signed the petition! Please bring to their attention that you are aware of the horrible situation and the fact that the whales are kept in harsh winter conditions. Please ask them to take action as soon as possible – confiscate the whales, take away the custody from hunters and make an order for the release of orcas and belugas. Point out that this situation is totally unacceptable and cruel to the animals that are forced to spend months in the freezing winter waters, which puts them into great danger and threatens their lives. Please be polite in you letter. 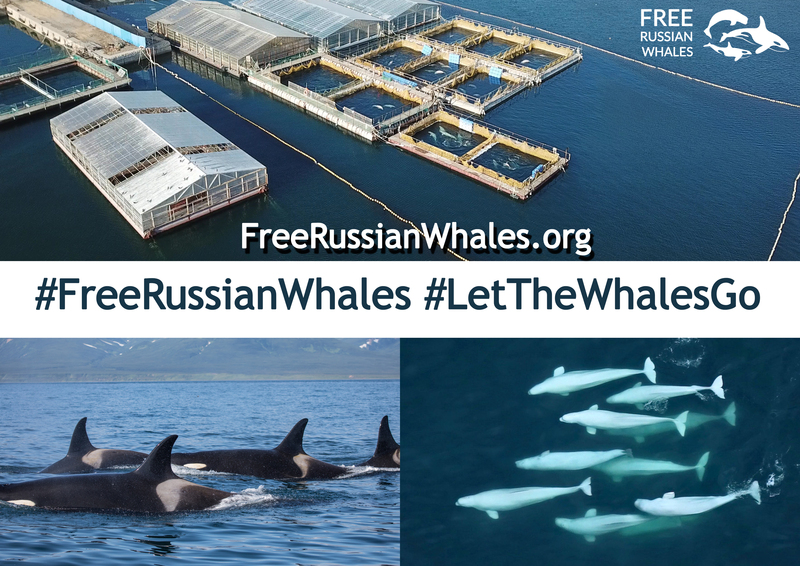 We need to show Russian government that the world is watching and waiting for the whales to be released. Please write your city and country on the image with hashtags or take a picture in front of your local notable place. TOGETHER WE CAN FREE THE WHALES!